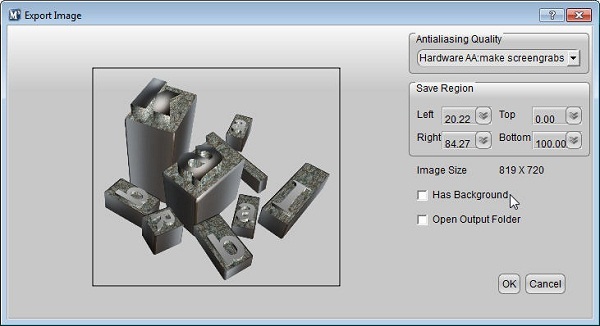 Meanwhile, the editor is for more than one object, Aurora 3D Maker (Mac & Windows) also provides a grouping function. 3. 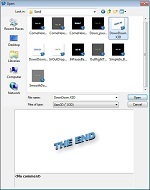 Templates and Styles: We look at this template, Aurora 3D Maker (Mac & Windows) provides two ways one is fast style, the other one is a template, quick style for the new object to achieve the desired shape and fast text styles, and templates can be directly selected sample, then you can modify the text and content. 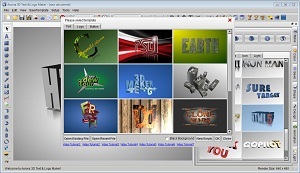 Templates including text, logos, buttons, shapes, frames, icons, Halo and so on. 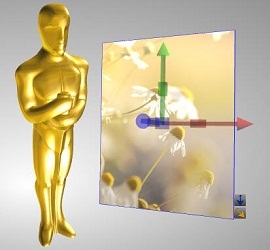 In addition there are hundreds of Aurora 3D Maker(Mac & Windows) SVG graphics library and font graphics library. 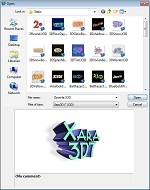 Xara3D can open sample function, open the sample, and then be modified based on the sample, including static, scrolling, screen savers, animation, etc. and sample. But does not provide fast style functions. 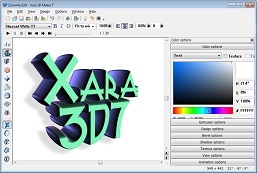 Xara3d distinction between style and template in import. 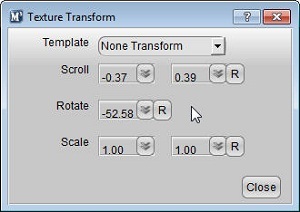 Similar number two software templates, but the style is different. 4. 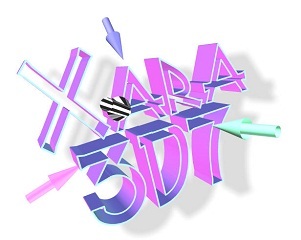 Object: Look at this one object, first as Xara3D is only one object, only 5 in the mode switch, including Text, Button, Board, Board with holes, Border. Each of the different models for different fixed effects, the user only need some type of adjustment on the property can be, and very convenient. Aurora 3D Maker(Mac & Windows) in each of six different objects in addition to the mode switch, the more powerful because of the need to achieve the design, so Aurora 3D Maker(Mac & Windows) can add more objects, including text, rectangles, rounded rectangles, circles, stars, polygon, arc, arrow. There are also some special shapes: cube, corner cube, sphere, cone, cylinder, ring and so on. 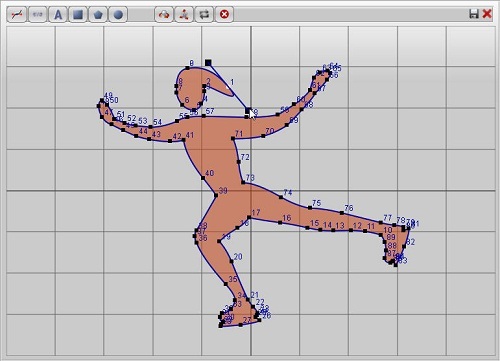 Each shape has its own independent parameters can be adjusted, as shown below. 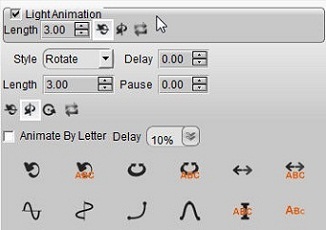 (1) Hand-painted models: free to use the pen tool to draw the desired shape, the hand tool to import text, SVG graphics or the new basic shape and then be adjusted. 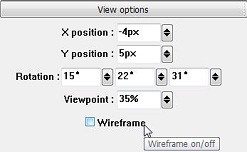 This feature is for the designer, very practical. (2) SVG graphic import: when we can design a lot of plane vector graphics, but suffer convert 3D effects are too complex, then we will import SVG graphics, and then stretch, then increase the variety of textures and color effects , rapid design three-dimensional LOGO. 5. 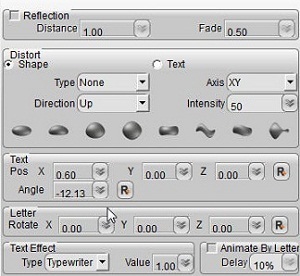 Text Edit: the basic difference was not significant, but Xara3d in the dialog box to modify the text, while the Aurora 3D Maker (Mac & Windows) is a text by double-clicking directly in the window changes, the text parameter is the toolbar above the software changes. 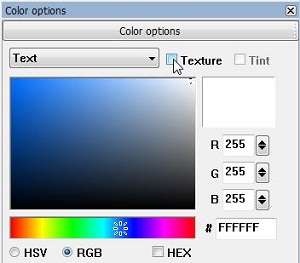 Text can be individually set size, color and other properties. 6. 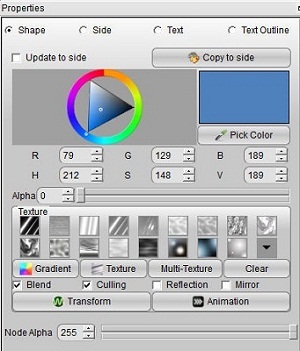 Color and texture settings: both of the software can be written on the shape of the face and edges and set the texture and color, respectively. The only difference is the difference between Aurora 3D Maker (Mac & Windows) in the design of textures to provide a more 3D effects and animation. 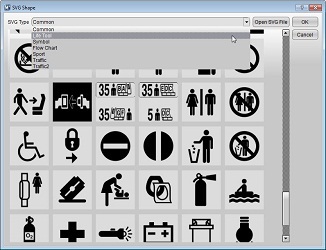 (8)can be set object transparency (in common) . 7. 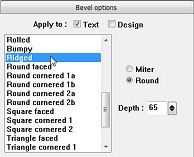 Bevel design: both of the software provides a variety of ways for users to choose bevel, this one is not very different. 8. 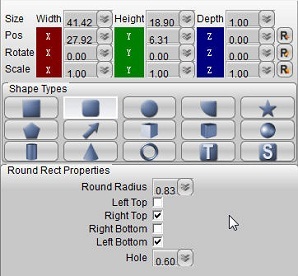 Shape parameters: the two have in common is you can switch between a variety of shapes, each shape can be designed to shape their own parameters, the shape modification. 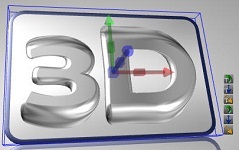 Text and shapes can be relative position, relative rotation adjustment, in this function Aurora 3D Maker (Mac & Windows) allows the Z-axis direction of the design, Xara3D not open. 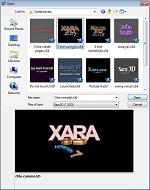 Another point is the difference between: Xara3D functionality to provide shading, you can set the size of the shadow, color, position and other parameters. 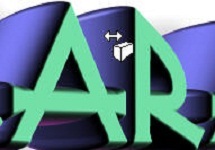 The Aurora 3D Maker (Mac & Windows) provides text and shape deformation features, text and shape can be distorted in different ways to achieve the unique design effects. 9. Light: in the light of the treatment, we see xara3D two light modes of choice, and Aurora 3D Maker (Mac & Windows) lighting model is fixed. 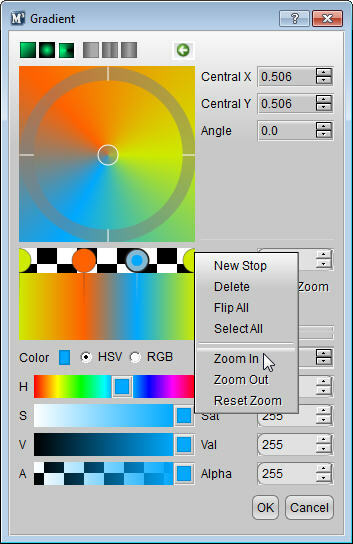 However, adjustments in the light of the two software more consistent, have three directional light, you can adjust their position, color and so on. 10. 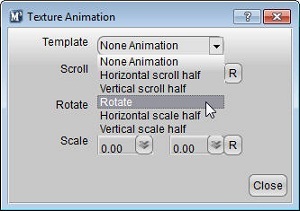 Animation: animation of two software functions in a similar comparison, contains dozens of different animated templates, animated templates can be set for each direction of the animation, animated, including rotation, swing, rock, wave and so many different way. Users can choose very easily. 11. 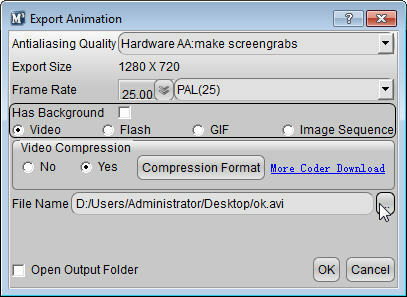 Finally, the finished design, you need to export, in the picture, the mainstream image formats are supported including: bmp, png, jpg, tif, gif, etc., export animation in two software support swf, gif, avi format output. 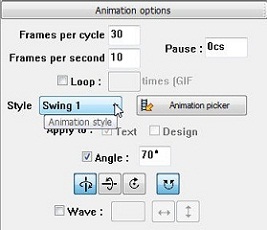 But Aurora 3D Maker (Mac & Windows) can be used to make the animation video, so the output image sequence to provide the function, use this function can be output as png or tga animation sequence in the video editing software to import with a transparent animation. 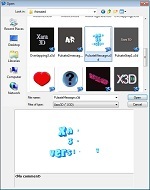 Based on the above mentioned, Xara3d the main application pages in the plane or the auxiliary productions, is a characteristic three-dimensional text and graphics aids, more easy to use. Aurora 3D Maker (Mac & Windows) in terms of functionality to be more powerful, you can create various 3D text, logos and button effects, allowing designers more space to play, making three-dimensional effect. 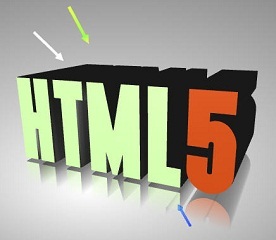 Also in the video title and introduction animation can also be use, and because a large number of templates available, so a short time to learn can master.